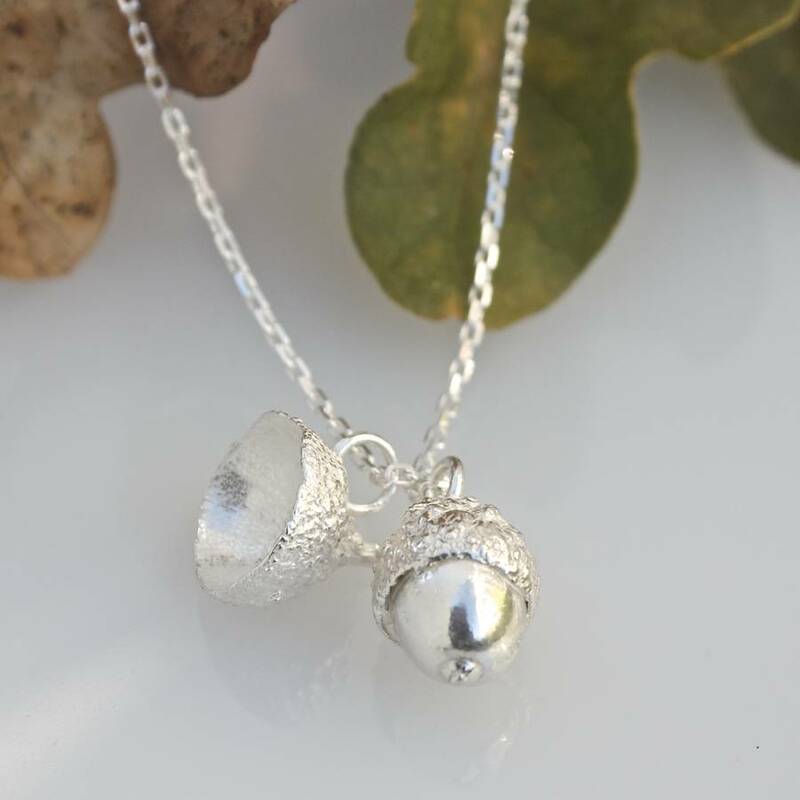 Our ancestors believed that carrying an acorn would protect against illness and preserve youthfulness so how lovely to wear this beautiful silver acorn cluster necklace, perfectly cast in solid sterling silver. 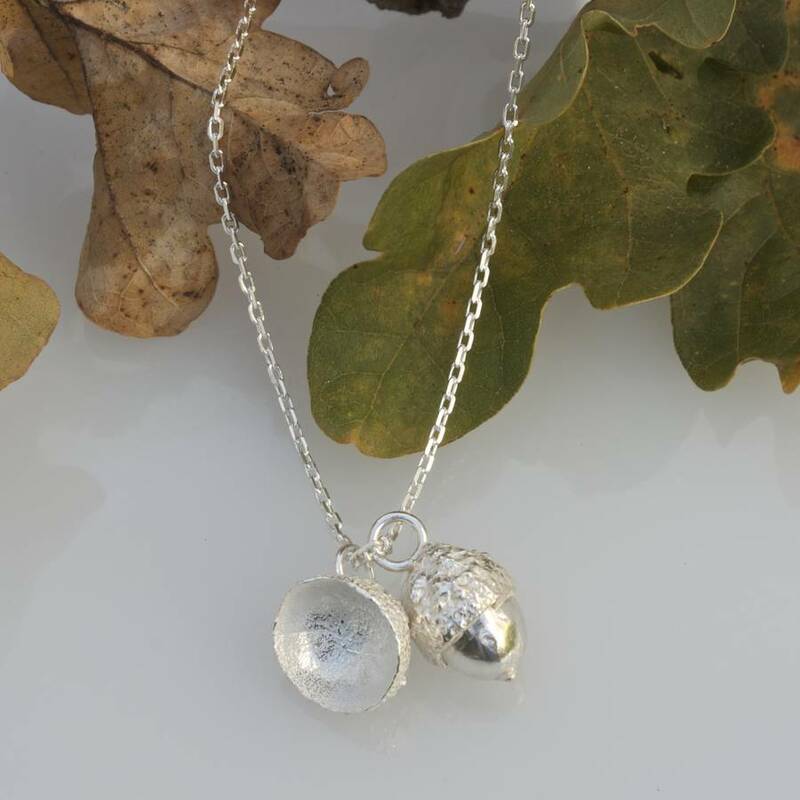 Made by Caroline Brook in her Surrey studio, the acorn and cup come on a pretty, sparkly sterling silver diamond cut chain in a choice of lengths. 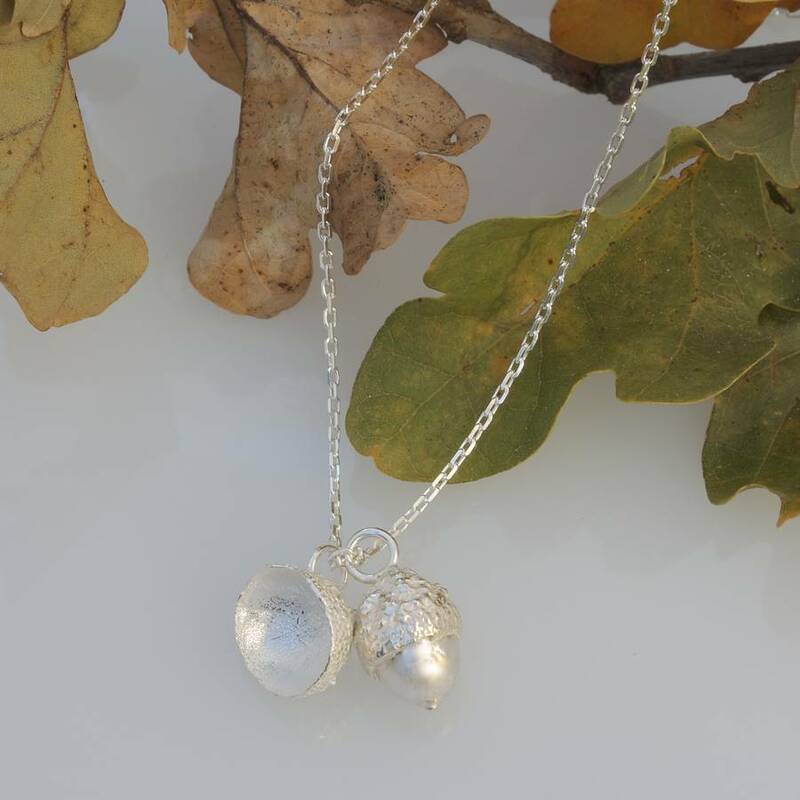 Elegant and simple: worn on its own or layered with other chains this beautiful, necklace is ideal for lovers of woodland acorn jewellery. 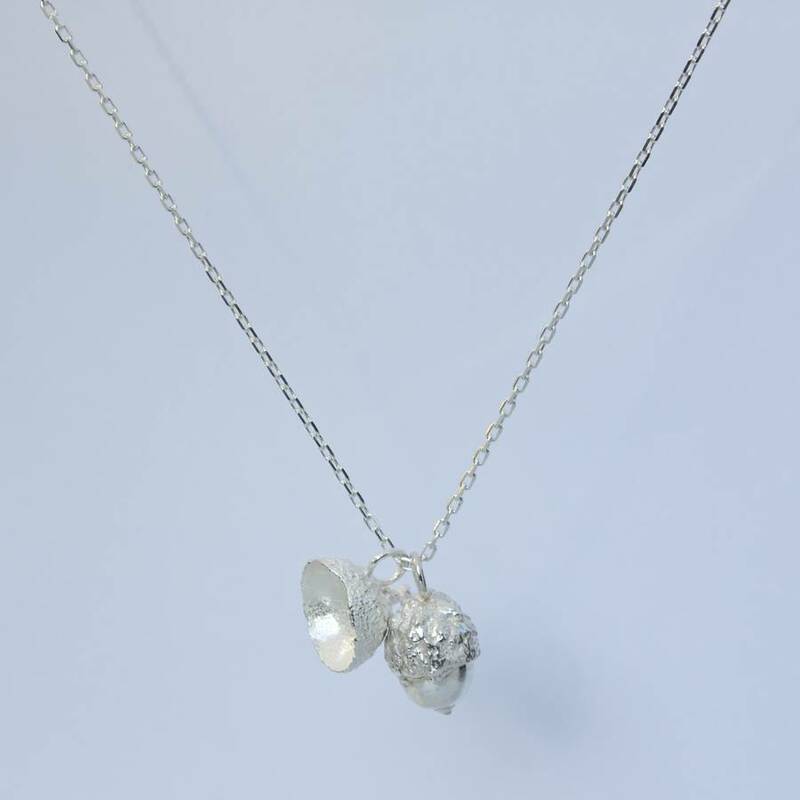 A thoughtful gift to celebrate friendship or something special for yourself. Matching acorn cup earrings are available. Please see my products page for details. Acorn measures 9.5mm wide and 12mm long (including bail). Weight 5.6 gm. Acorn cup measures 12mm x 9mm.